Posted February 18, 2017 by laurielmorrison & filed under The Writing Process, The Writing Process. “Finish what you’re working on.” If you want to be a writer, that’s one of the most common pieces of advice you’ll hear, and it makes a lot of sense. It’s fun to start a book, but it can be really hard to wade through the murky middle and make it to the other side. And you have to finish a draft before you can begin to revise it into something that shines. But I’ve recently learned that there are times when it’s better to put something aside for a while than to push through to the end just because you’re determined to finish. At this time last year, I was working on a middle grade novel about a thirteen-year-old girl named Annabelle. I’ve been thinking about Annabelle’s story in some shape or form for several years now, and I’d been making good progress writing it…until I hit the midpoint scene and the story began to fall flat. Suddenly, writing Annabelle’s story was a struggle. I was writing boring scenes, and they weren’t leading me to anything more interesting. 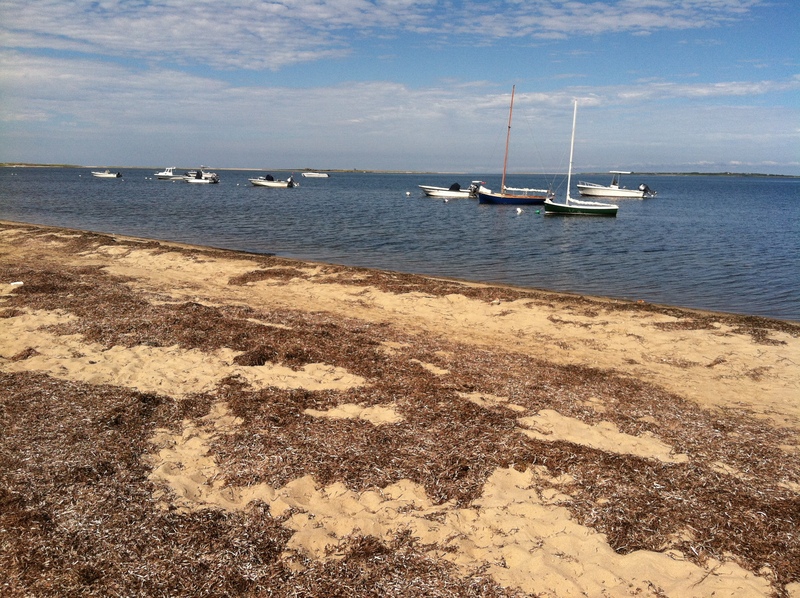 Annabelle’s story is set in Gray Island, a fictional place off the Massachusetts coast, and she lives near beaches that look like this. On good days, writing her story feels like being transported here. I am not a person who likes to give up, and I had promised myself that I would finish a draft by spring. So I kept going. But then something happened, almost exactly a year ago. It was the Friday of my midwinter break from school, and I was weeding through a filing cabinet, attempting to get rid of old papers I didn’t need. I came across the evaluations that my four advisors at Vermont College of Fine Arts had written after I worked with each of them. One of my advisors mentioned a story idea I’d told her about—one that I had come up with off-handedly, because she wanted to know what I might work on next, and had then completely forgotten about. But she wrote in my evaluation that she thought it had promise. I sat down at my computer and wrote a first chapter for the forgotten story idea. It felt energizing and silly and fun. It felt so much better than working on Annabelle’s story, which wasn’t fair to Annabelle. I love her, and I desperately want to get her story right. So I decided that I was going to take a break from Annabelle’s story and let myself play with the new idea. And then, several months later, I was ready to go back to Annabelle. With all that distance, I could see where the draft had gone off the rails, and I realized that one whole, exceptionally boring subplot could simply go away. I was very pleasantly surprised with how much I’d actually written and how much of it I actually liked, once I cut the stuff that didn’t belong. After that, writing Annabelle’s story was fun again. Not fun every moment—sometimes it was overwhelming or confusing or frustrating. But it was mostly fun, and before too long, I finished. It was several months after I’d promised myself I would finish a draft, but that was okay, because it was a much better draft than I was ready to get to last spring. I revised the draft, then got feedback, then revised again, got feedback again, and revised some more. I just finished this third round of revision this week, and each step has taken me closer and closer to the heart of this manuscript. And yesterday, on the Friday of this year’s midwinter break, I sat back down to play with the idea that gave me permission to take a break from Annabelle. I don’t have any set plans for when I’m going to finish that one, but I have some new perspective on it, now that I haven’t looked at it for a while. And it’s still pretty silly and energizing to work on. Laurie, I hear you. I feel guilty if I entertain a new idea, but have an unfinished story with a muddy middle. 😀 That’s just what’s happening with me! But I enjoy the new story that I’m working on. And that’s the main thing, right? I think it really is! I remember reading something Kate Messner wrote or said somewhere about how if she really doesn’t feel like writing she tells herself to just write for a very short period–like just a few minutes or something–and if she still isn’t into it she can stop, because maybe she really needs a break, but usually she’ll be into it. I want to figure out a similar way for knowing when to move away from something. I think for me it’s all about how many days in a row I am not feeling it with a project. Like if I go a whole week’s worth of writing days feeling uninspired and try all of the tricks of stopping to outline/freewrite/etc. then maybe I need to work on something else for a little while or else I will just be spinning my wheels and adding stuff I’ll only end up cutting. Laurie, this is such a great reminder to look for ways to maintain the joy in writing. Also, your anecdote helps me remember that guidelines about writing are just that – guidelines. What works for one writer might not work for another. In fact, what works for one book might not work for another! Thanks for sharing your experience. Thanks, Laura! SO true about how what works for one book might not work for another. This Annabelle book also defied outlining in a way that most of my other projects haven’t. We really have to be flexible and look for the joy!